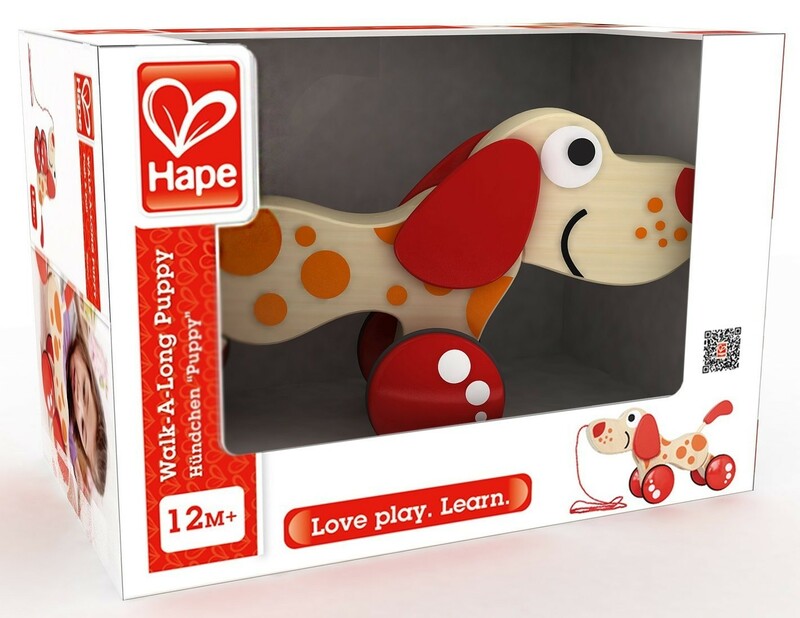 Tails are sure to be wagging with this delightful toy from Hape! 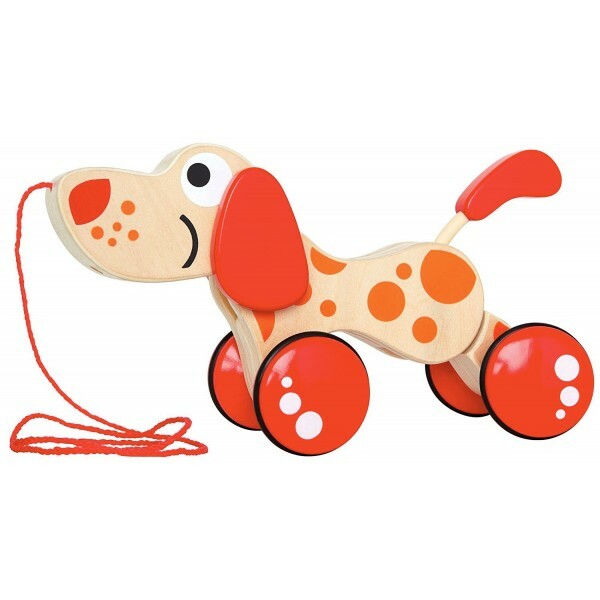 The Walk-a-long Puppy features a clever design that allows this cute dog to be placed in a number of fun positions. 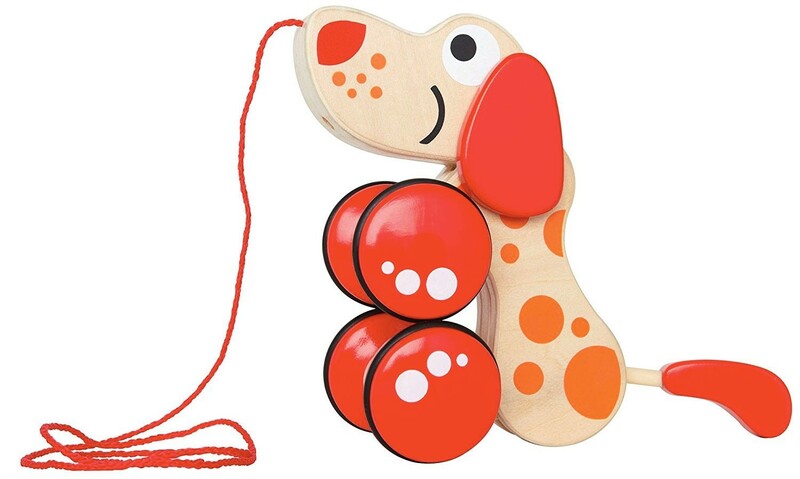 Help your child balance this best-selling puppy, and encourage them to take their new friend on walks! 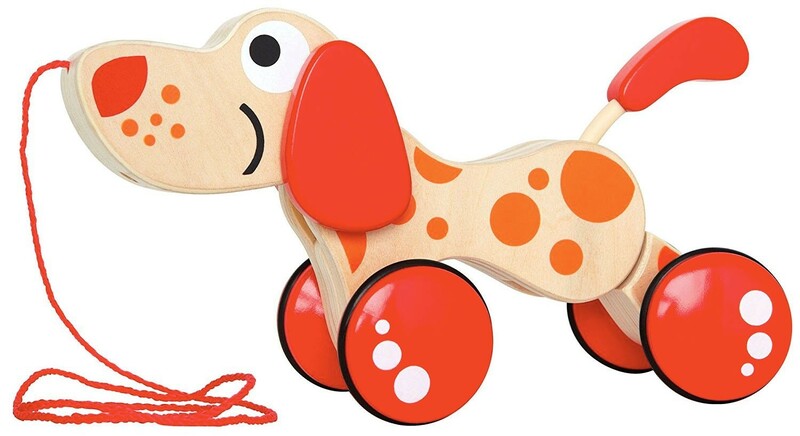 Toddlers and kids alike will love the wooden design that easily rolls, and is perfect for imaginative play. 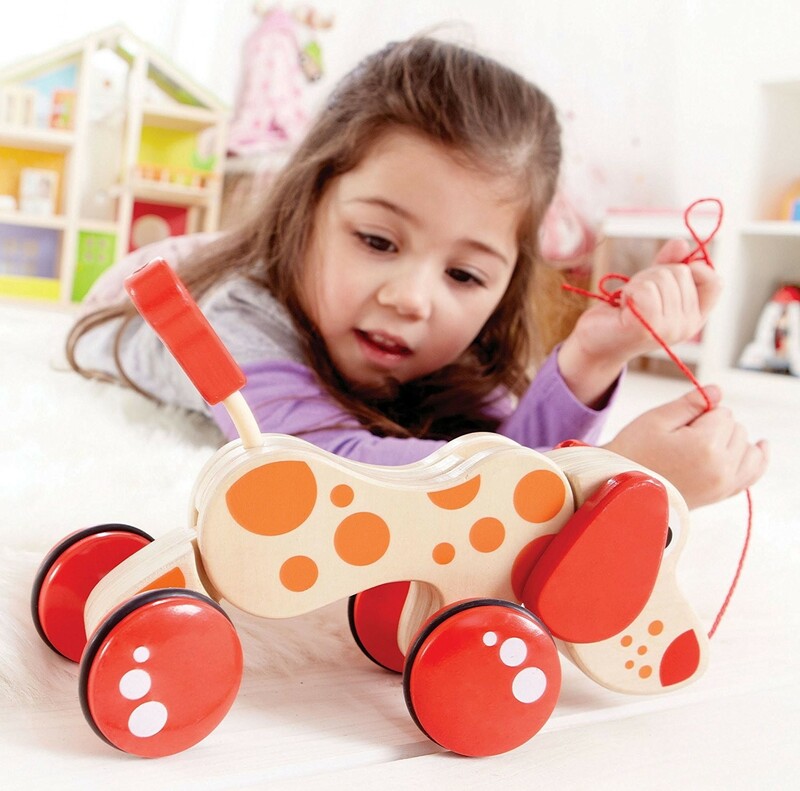 Rubber-rimmed wheels help to protect floor surfaces, as well as provide quiet play. 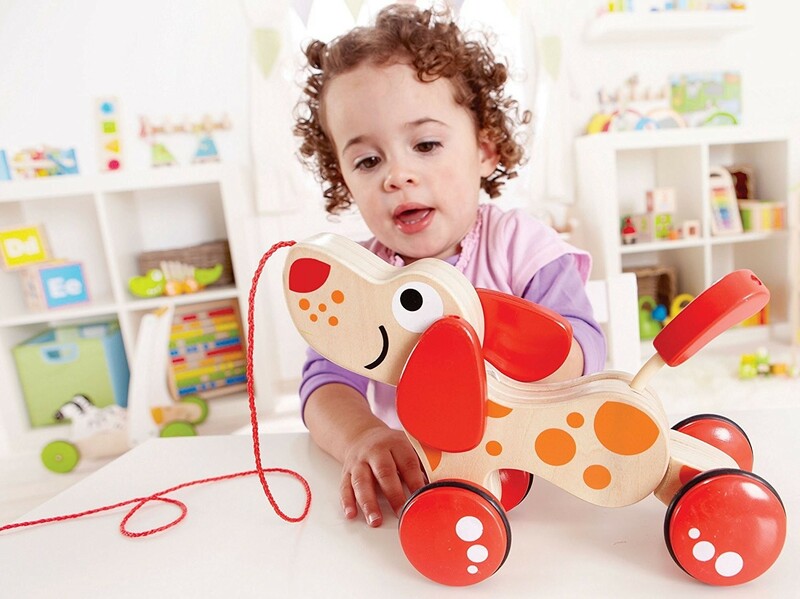 Plus, parents will love the sustainably sourced solid wood construction and the child-safe inks that result in a high-quality toy that kids can enjoy for years.